With the more recent developments in the constantly growing and changing online landscape such as the prevalence of social media, tablet and smartphone use, it is rapidly becoming necessary for businesses with online presences to expand to accommodate these changes. While the basics of web design still apply in any case, there are a few areas that need to be considered alongside the basic website. Here are some of the more important points of designing an effective and profitable online presence in 2014. Does the Website need to Work on Mobile? 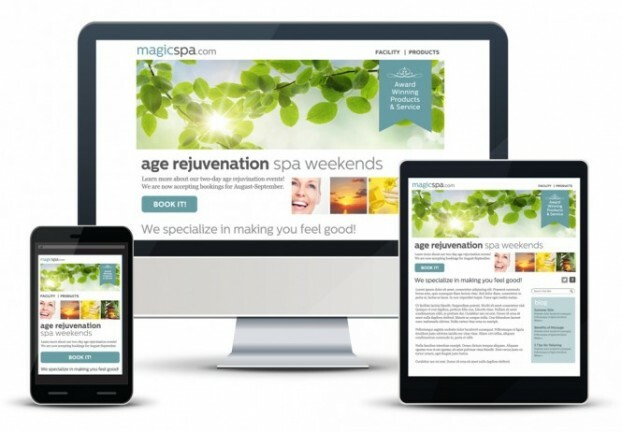 Yes, it is important to get your website mobile/tablet optimized. Over 50 percent of all cell phone owners use a smartphone these days and over 30 percent of American adults own and use tablets today. The use of traditional desktop computers is actually declining dramatically. Make sure that you’re not cutting off your web and tablet traffic. These are rapidly becoming a larger and larger percent of your traffic; have your web presence mobile optimized. Will it need to Connect to Social Media? It is highly recommended that you develop a social media presence. By connecting through social media, you are your creating the opportunity to have near constant access to your customer base’s attention, interest, and feedback. Blogs are extremely useful. They help SEO the webpage to guarantee a consistent level of monthly exposure. They can also serve the purpose of initiating the online sales funnel or just serve as a constant source of interest and attention from your customer base. Will there be Membership Areas? Having a membership area on your website is an effective way to create an online community of people who want to talk about and be educated about your niche. They also offer many avenues for increased exposure to your products or services. Membership areas can be monetized through simple monthly membership fees, which you might consider applying. Will anything be Sold through the Website? One of the greatest utilities of an effective web presence are that they can be turned into automated sales funnels. With a properly placed banner ad or video, potential customers can be snatched from their interested browsing state and be sold a product or service. Online merchandising is much, much easier of a process than physical selling and can be a completely automated process. With the option of “subscribing” to your website, qualified leads can be captured automatically as well. Again, it is critical to have your website mobile optimized to ensure that this process runs smoothly from whatever kind of device they are using. The web presences that different businesses need will vary according to the nature of the product or service they offer. A successful web presence will integrate all of the items above into a whole, effective user experience that promotes awareness of the business and commitment and interest from customers. We strongly encourage you to contact one of our professionals to go over your current website and get a quote on a more optimized web presence that incorporates these emerging areas. Shanna Cramer is the owner of The Web Shoppe http://thewebshoppe.net, a Fargo, North Dakota web design agency. Follow @thewebshoppe on Twitter for web design and marketing tips.